We all bring something special to Family Physio. It is our approach to see the whole picture and view physiotherapy as an important piece in the health puzzle. We are all keen sportspeople, are family focused and enthusiastic about helping restore people to optimum health. James started Family Physio with his wife Susan in 2012. He loves golf, family time and impromptu karaoke. 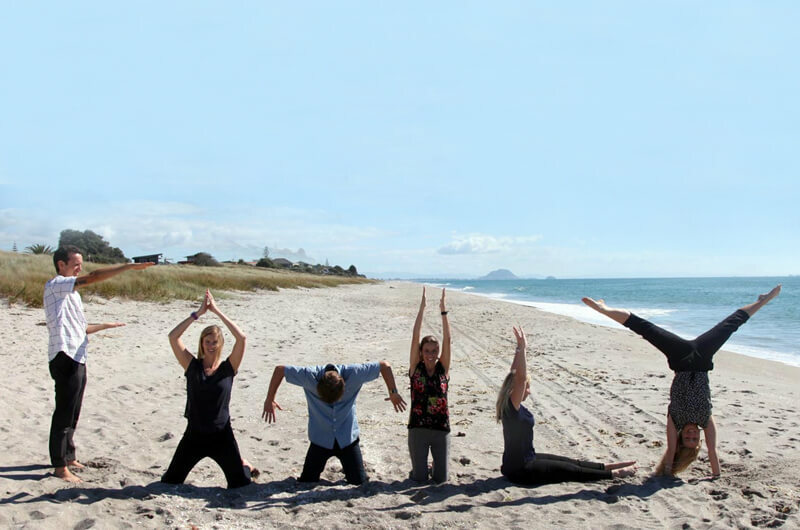 He has focused on headache and migraine treatment for the last few years and loves being part of the wider Papamoa Community. Of note James weirdly enjoys reading business books and is a self diagnosed fair weather surfer. Susan is the brains behind her relationship with James. She is a busy mum to 2 kids and loves to keep the family healthy with weekly trips to the Tauranga Farmers Market. Her main passion is yoga, helping new mums return to exercise after pregnancy and getting kids moving after injury. Of note, Susan comes from sunny Scotland, so feels right at home in the Bay. If Maria was an adhesive, she would be glue. She holds the ship together and keeps the behind the scenes business running like a fine oiled machine. Her organisational skills are always over performing, she gets a lot of practise at this with her 3 children running her all over the Bay with all thier sports. Of note, Maria is James’s older Sister – I know, hard to believe aye! Too talented for words. She can sing, dance, run, bake and mother like no other – not all at the same time though! 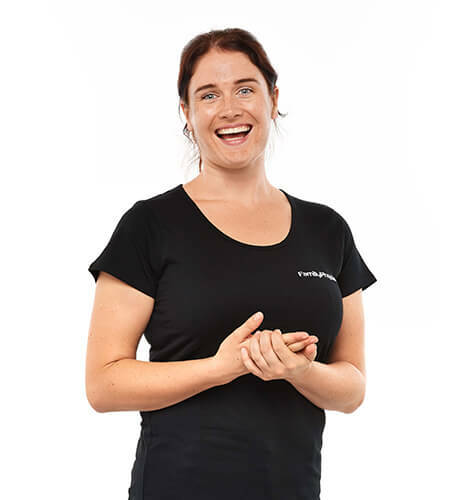 Pips passionate about posture, she loves getting her clients on the straight and narrow with lots of massage and simple but effective exercises.Of note, Pip is also the proud mother of Owen, who is super cute! A dedicated family man and part time orchardist, Tama is the proud father of Owen and Master of Maggie. Pips better half joined us so he could walk Maggie in his lunch time and keep people in Papamoa in good health. 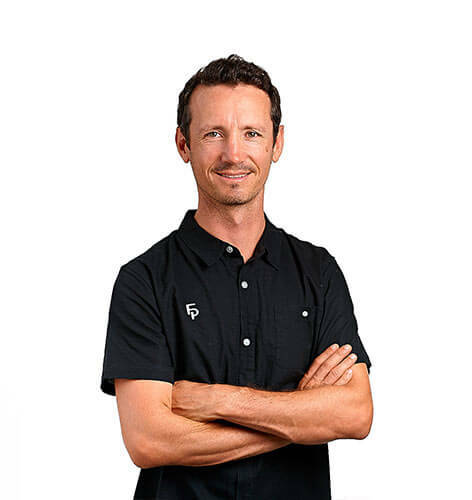 Tama specialises in running, cycling and knee related injuries and loves getting people to move their hips optimally. Of note, Tama is currently the only member of Family Physio to win a World Title (for now). It was a World Age Group Triathlon Title in 2007! 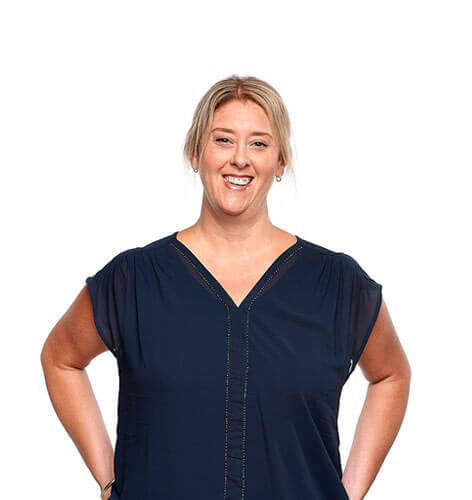 Our fresh faced Heidi is from the Waikato and is the most enthusiastic member of our family. She loves hearing people’s stories, problem solving, working together, and motivating them to get back to their best! Heidi is an avid water baby, swimming, kayaking and learning to surf keep her busy when not at work. Of note, Heidi takes time to unwind by hiking or mountain biking in New Zealand’s native bush. Hailing form the South of England, Camilla brings a wealth of knowledge to her Physio practice and has a passion for helping those with vestibular disorders. She loves the outdoors lifestyle, hiking, golf, and cooking. And of note Camilla does a mean spag bol and she shares the recipe! 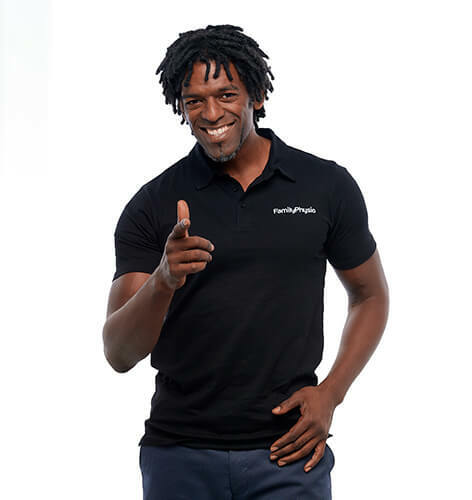 Also from the UK, Leon is an energetic and passionate physiotherapist. He has a special interest in keeping people moving and loves working with knee and spinal injuries. Leon also takes our Pilates classes weekly. Of note, Leon is a UK champion in 3 different martial arts. Amazing aye! 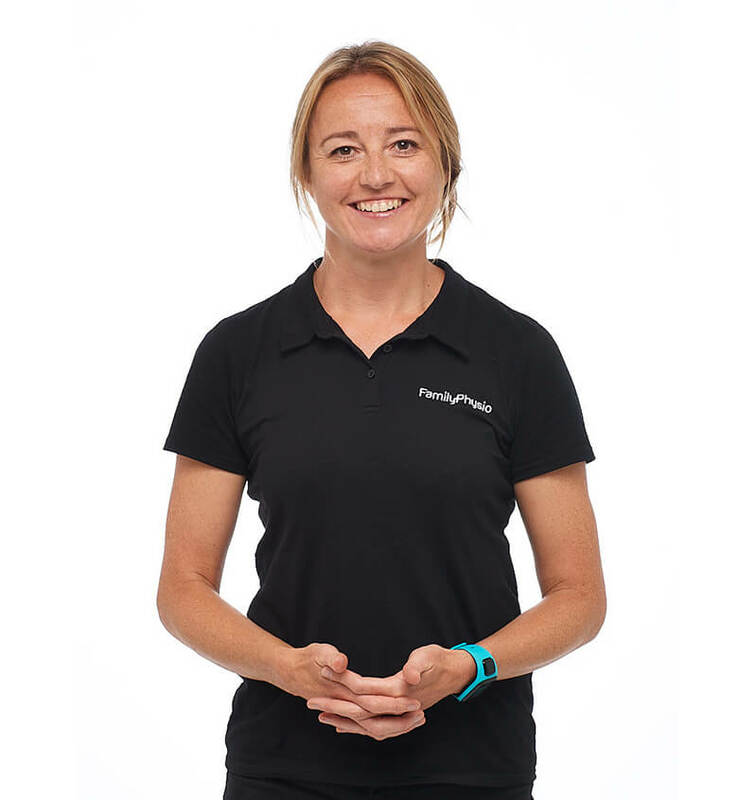 Hailing from the UK, Catherine has a breadth of knowledge in sports and shoulder Physiotherapy. She loves working with people that are struggling to perform at their peak and is passionate to get them into tip top shape. Of note, Catherine has emigrated to Papamoa and now calls it “home”. Yay! Suzaan is a sports nut, she loves nothing more than jumping in the sea, on a bike or hitting the road. 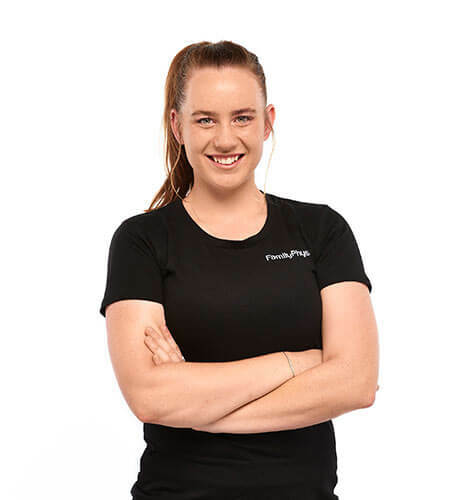 Clinically, Suzaan loves treating the sporting population from weekend warriors to elite athletes and she has a special interest in swimming bio-mechanics and rehabilitation. Of note, Suzaan grew up in South Africa and is loving the lifestyle here in the Bay! Sandy has joined our admin team after 30 years working for Plunket keeping children safe on the child restraint team. 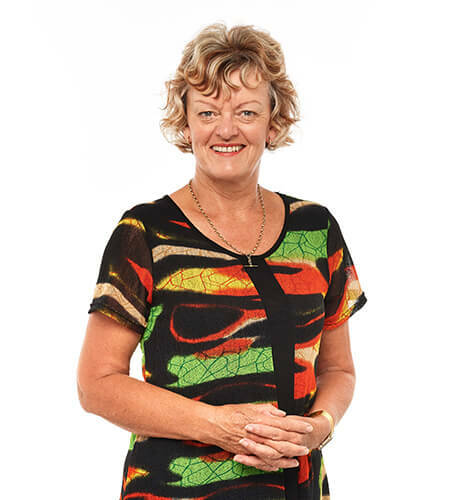 She is the friendly face down at our Papamoa Beach Road clinic and of note, is grandmother to 15! Jo is our friendly face behind reception and our customer service guru. Mother of 2 and other half to one of the local constabulary, she is always approachable and loves a good chat. Family is important to her and she will welcome you like one of her own. Of note, Jo absolutely loves all four legged furry friends and is always up for a cuddle or pat. 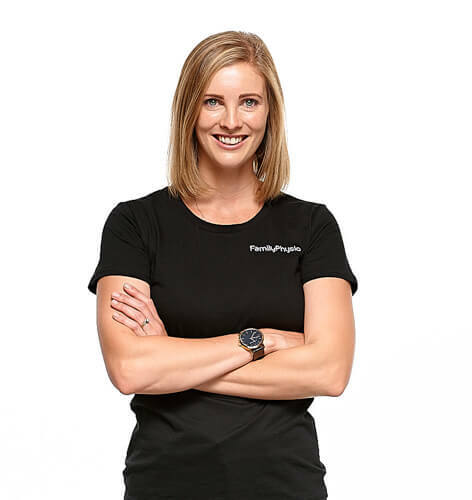 Family Physio started off as Physiofamily in 2012. 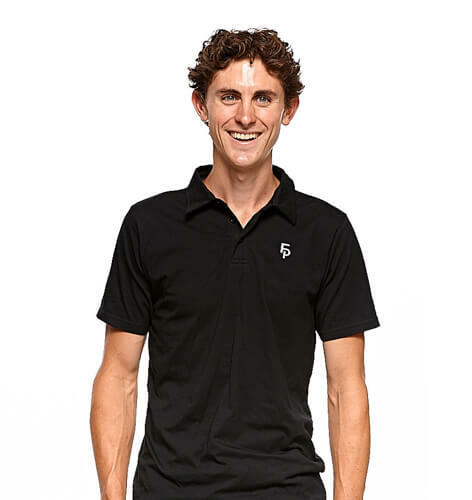 It began as a boutique physio clinic on Papamoa Beach Rd with just James working. It has grown rapidly in the last 4 years based largely on word of mouth, GP and Specialist referrals. 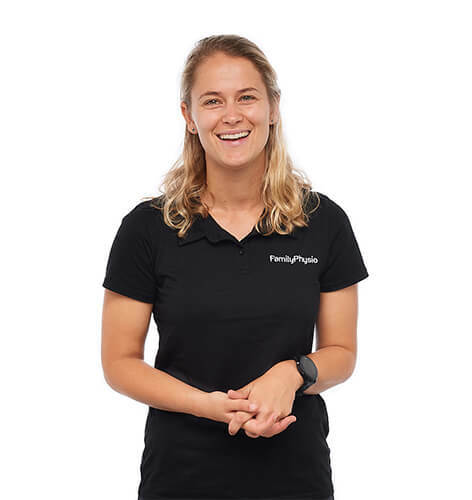 The family has grown to 9 and with the community constantly calling us Family Physio we decided to change the name and continue the family value based physio service to help our wonderful community be the best it can be and to live their dream.